Participant with the highest percentage of weightloss will receive a FREE ENTRY into the February online accountability group. Now offering STUDIO sessions! 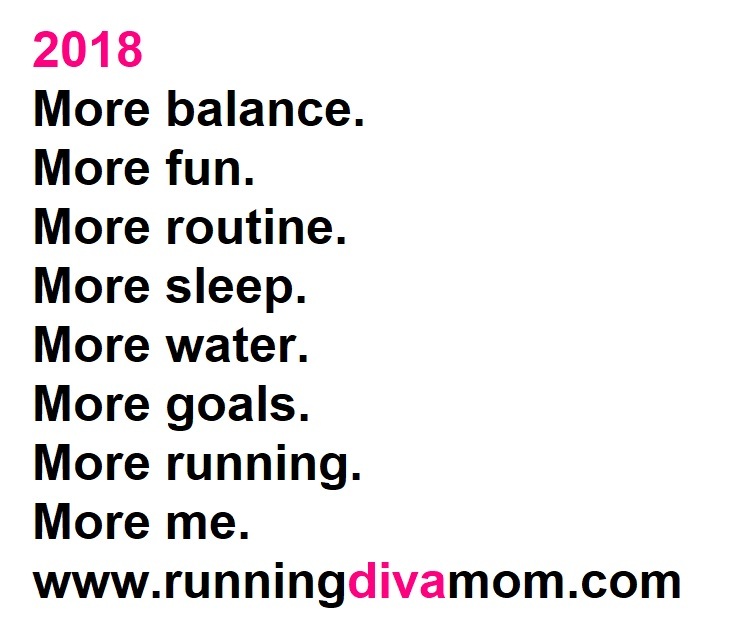 Studio sessions will include the monthly virtual accountability, plus participants will have weekly weigh-ins at the Running Diva Mom Studio, followed by a group outdoor walk and discussion. Group meetings are on Wednesday evenings at 6:00-7:00 pm. November 1, 8, 15 and 22. Studio sessions are limited to ten participants. Participant with the highest percentage of weightloss will receive a FREE ENTRY into the December online accountability group. Be Jamie. Always be Jamie. I've been doing more reading lately. But, I've also been doing more writing. I am still writing random to do lists. But, I've also been writing down my thoughts. Journaling. Chicken scratches. My feelings. My purpose. I enjoy blogging and finding it therapeutic. I love sharing my raw feelings and emotions and small glimpses into our daily, real life. Life isn't always beautiful. But, it's always amazing just the same. I look forward to doing more of it. Not making it another item on my to do list. 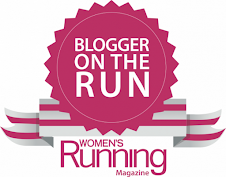 Just sharing my feelings about running and life. When I was on the bus the other day, I came up with a list of ten items that I really want to focus on and live by. Not resolutions. Not goals. Those have an expiration date. Just feelings, emotions and a life that I am striving for. Some are actions. Some are reminders. But they all are me. Constant motion is more productive with periods of rest. Connect and embrace at hello and good-bye. Touch paper/tasks once; maybe twice. When you feel something pulling, don't pull back. Figure out what's pulling you. I can do all things; but I don't have to. Do what you do well; and do that often. My way isn't always the right way. Asking for help makes you stronger; not weaker. Life is such an amazing journey. Ups and downs. 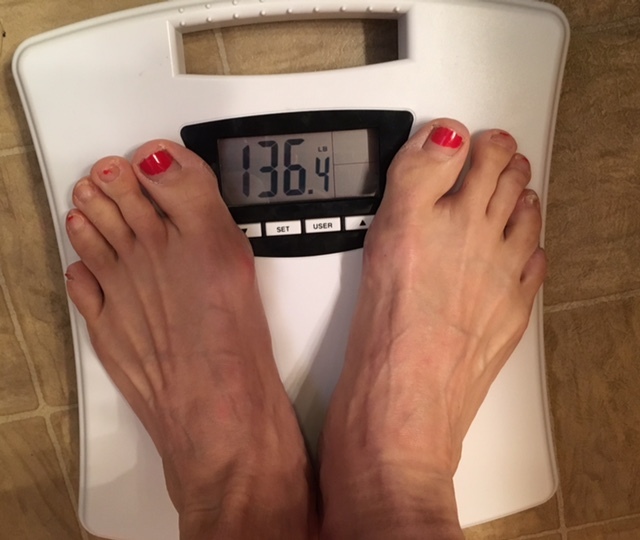 Sometimes the scale reflects it. Sometimes it doesn’t. It’s a matter of how you handle it. How you react. It has now been just over three months since I hit my ultimate weightloss goal. I am continuing to log my nutrition and exercise daily and share my daily progress with my accountability groups. Much of what I do is now routine. I track my food and meals without even realizing it. And it’s become a part of my day. I think of my food and activity log as any other personal journal or diary. It’s a reflection of my day, my feelings, my mood, my schedule and my environment. I don’t get obsessed over it. But it is nice to feel like I have some control over my day – and later reflect on it. I am not a “calorie counter” and don’t focus on an nutrition program specifically. I don’t eliminate food groups from my diet. I try to eat lots of fruits and vegetables, drink lots of water and make good decisions. But I still eat things that I enjoy; I simply watch my portion sizes. I like to eat – and I’m not ashamed of that. Ziploc baggies, food containers and weekend planning and food preparation really help make and keep me successful. I eat the same things as my family. Sometimes I substitute whole wheat noodles or add an extra vegetable for myself. 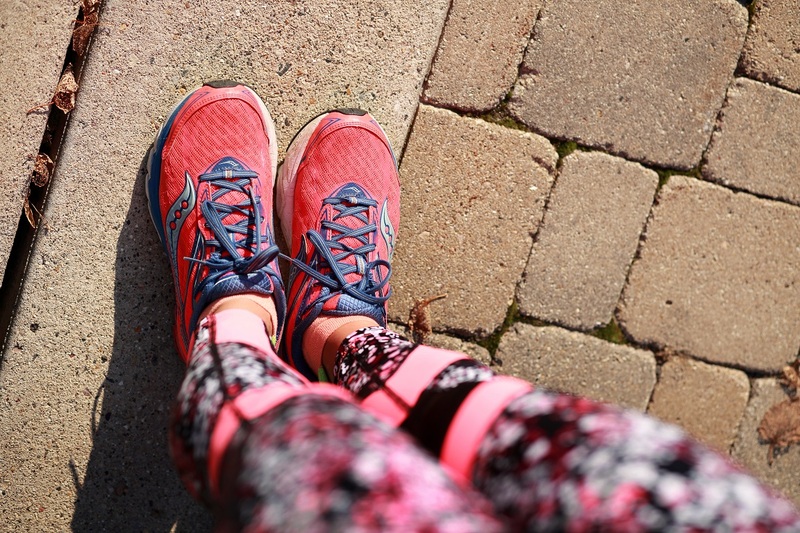 I haven’t ran in over a week – since my injury. I realized that I had not taken off more than a day or two in almost two years. 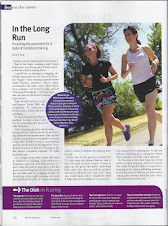 Running as often as I have (10-15 times per week) you get really use to being in motion. It’s hard for me sit down and rest. Not to be doing something physical. But I am trying. I haven’t been cleared to do any exercise until after my MRI next week, so I have been pretty stagnant, other than a couple of short walks around my neighborhood. I adjusted my food log and nutrition goal accordingly for the time-being. 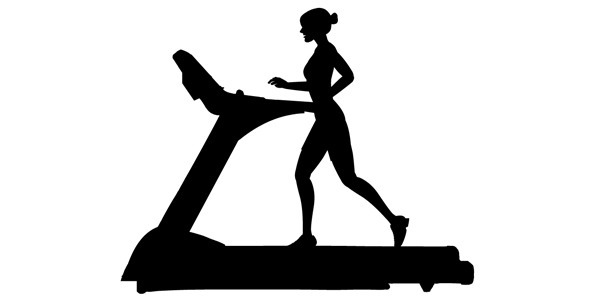 After my injury, I was concerned that my habits would diminish and that I would struggle with keeping the weight off. But I now feel that I truly have consistent habits and can keep myself motivated. When I stepped on the scale this week, I was down three pounds from my pre-marathon weight earlier this month. I found this interesting with how stagnant I’ve been. We also were hit family-wide with the Neurovirus last week. So my appetite was minimal for a couple days. I was really happy with the number reflecting back at me. But I don’t feel like I identify with that number quite yet. I like to focus more on how I feel physically and in my clothes. Which is great! But that number still hasn’t hit me yet – that I’m there. That I reached it. My pants are looser than normal. I’m noticing my legs are visibly smaller in photos now. I’m still seeing changes in the shape of my face. I’m looking forward to spending time and focusing on my core and upper body once I develop my new fitness routine for the next couple of months. We are each a work in progress. Embrace the journey and the process. 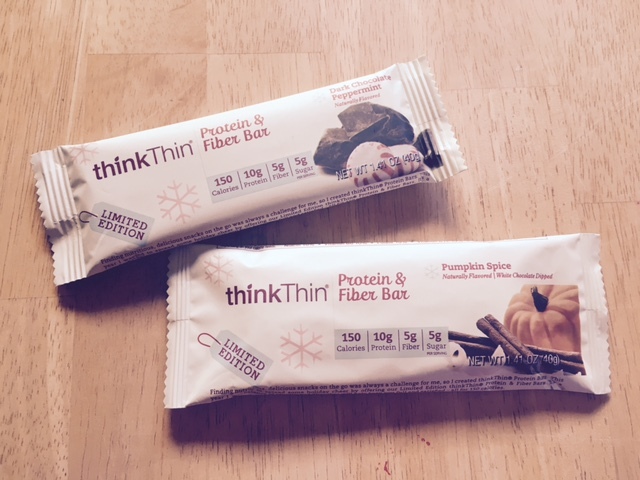 I recently tried two of the seasonal bars from Think Thin. I had never purchased their bars before though I've seen them on the grocery store shelves. Pumpkin Spice tasted great as an afternoon snack with my afternoon cup of coffee. The texture was chewy and it was very satisfying on tasty. There was no after taste like some other bars I've had with similar texture. I preferred it over the Dark Chocolate Peppermint. But honestly enjoyed both flavors. For me, these were a great snack, but I wouldn't use them as a meal replacement. They were only 150 calories and high fiber and protein. Totally kept me satisfied til dinner. Great paired with coffee or almond milk. They offer a number of regular flavors that look intriguing. Cupcake batter, s'mores, salted caramel, anyone?! But next, I want to try their Protein Cakes - they look tasty! I'm a busy mom of three. I know how busy life can be!! 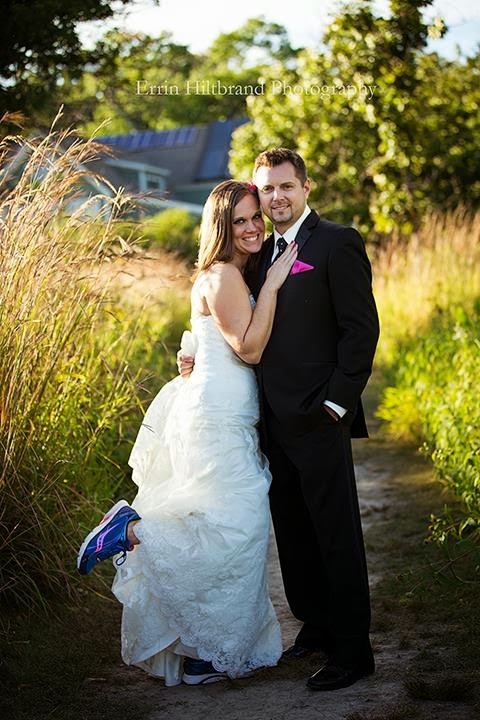 But I also know that running and following my passions have made me a really awesome mom and spouse! 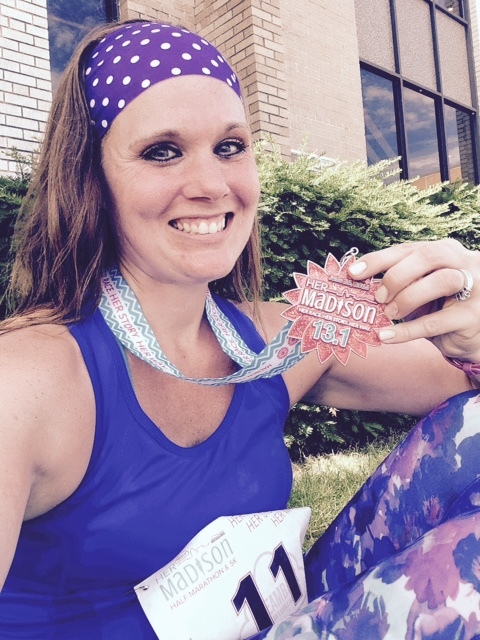 I just finished my 14th marathon this month and have another 60 half marathons under my belt. I want to help you make yourself a priority, too! 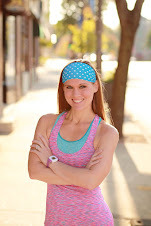 If you are interested in starting a running/walking program or want to run your first 5k or half marathon - I can totally help you design your fitness routine around your famil...y's busy schedule. Together we will make you a priority -- and I will hold you accountable with my weekly check ins and motivation. I have worked with more than 700 women to help them realize just how awesome they are!! I'll be watching Daniel Tiger. Sometimes, life really has a way of telling all of us to slow down. Even when we don't want to listen. You are constantly on the go, moving, laughing and playing. Until you need a break. Like naptime. To get a reboot on your day and on life. 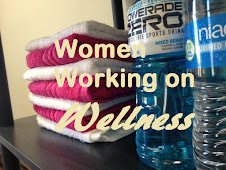 To get ourselves better, healthier and stronger. Today, I removed my activity tracker and adjusted my fitness and nutrition goals in My Fitness Pal. Life is just different right now and I don't need constant reminders that I should be doing more. Or that I'm "any less" than I once was. It's obvious from the response that I've received that I will still be able to hold my clients accountable and motivated - just in other ways - at least temporarily. And maybe it will show some that they can do things on their own and that they have all the tools that they need. 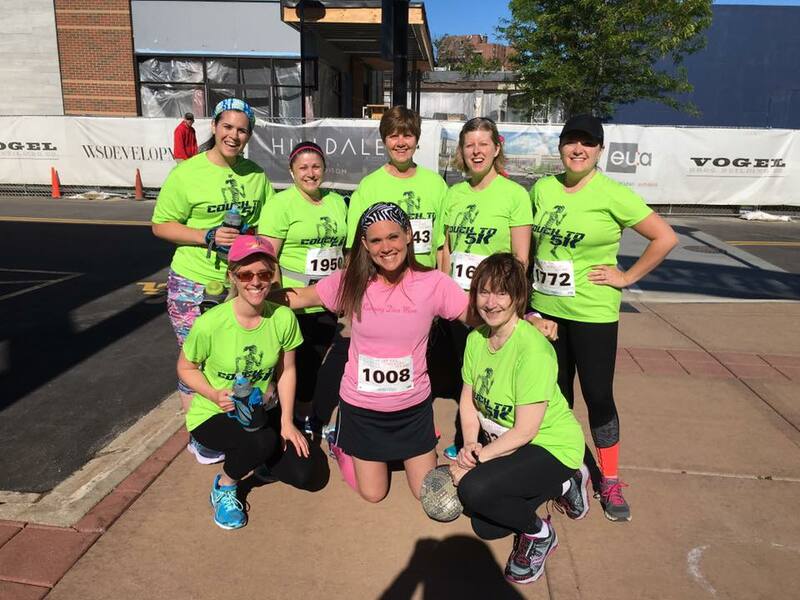 I look forward to ringing that cowbell from the sidelines on Saturday and Sunday and seeing two dozen women complete their first 5K and half marathon. In the meantime, I will be cuddling up with these sick, blue eyes and watching countless episodes of Daniel Tiger, doing accountability check-ins from my couch and writing custom training programs to help these awesome women achieve their fitness and weightloss goals. I know that this isn’t the end of the road for me. I stopped running at mile three of my marathon yesterday, because my impending injury became too much. I’ve pushed through pain and struggles so often through running and racing– to the point where my body would no longer allow me to run. And then later to walk. I hobbled the 1.5 miles back to my hotel room in tears as I could not physically pick up my foot and bring it back down to the ground. 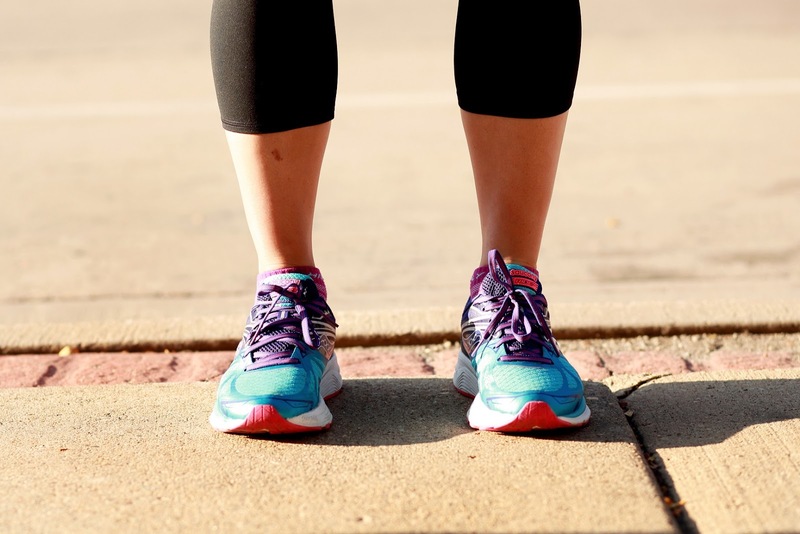 I later spectated the race, as a client finished her first marathon, but could not physically go down to the finish – because I could no longer physically get there. It’s all kind of a metaphor. I got an early diagnosis yesterday and am meeting with a specialist this afternoon. My damage is mostly nerve related - and a bone spur on the top of my foot. And I am thankfully not physically in pain. There are no words for the heartache that I’m feeling right now. I’ve cried and I’ve sobbed and I’ve felt sorry for myself so many times over the past twenty-four hours. The unknown scares me. The unknown scares me. 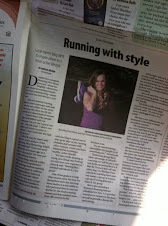 Because running has always been the constant and my place to turn to when something awful like this happens to me. And I currently don’t have that outlet. 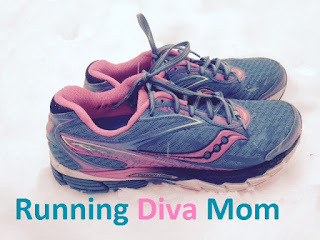 When I was a young mother with Little Diva, I discovered running and it lit me up. It brought me joy and made me feel good about myself. I never had experienced something like this before. 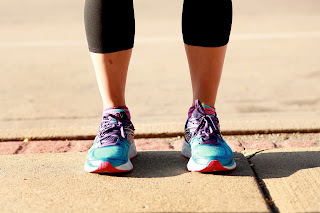 I’d always had low self-esteem and running made me feel like I could accomplish anything and that no one was judging me or comparing me like other team sports or activities. 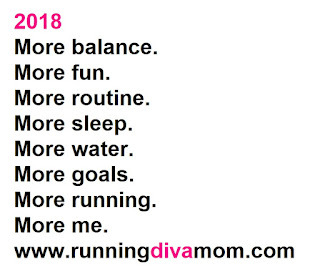 I struggled with a miscarriage in between Little Diva and Little Dude and running gave me something to focus on and kept my mind occupied as I got through month to month with various running goals for myself until I conceived again with my son. 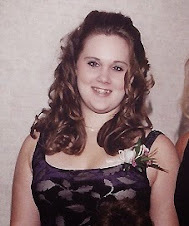 I was in a miserable relationship for fourteen years. 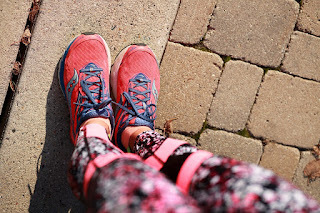 We both turned to running and exercise to deal with our emotions and it provided an excuse to spend time away from home. Neighbors noticed me running around the neighborhood over and over and over again – running away from my problems. Running provided me with a constant as I went through an ugly divorce and started my new life. 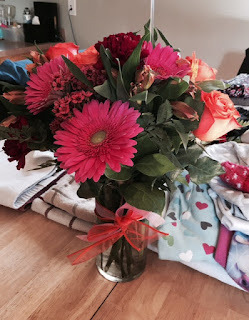 When I could not be with my children – it occupied my time (and still does). 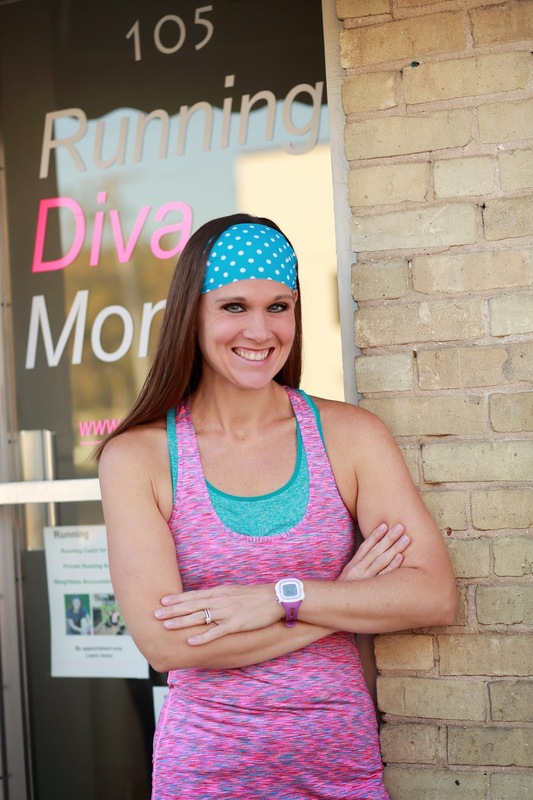 I did not seek professional help because running was my therapy and helped me work through things, during the lowest point of my life. Mileage got me through rocky situations at home, when it was the only thing I could physically control during my day. And I was determined to fit it in, because it mattered to me. I could control that. I am told that my training got me through childbirth three times without pain medication. The nurses said that my breathing techniques and mental toughness helped me push beyond unbelievable pain and that my head could “go places” where others cannot. 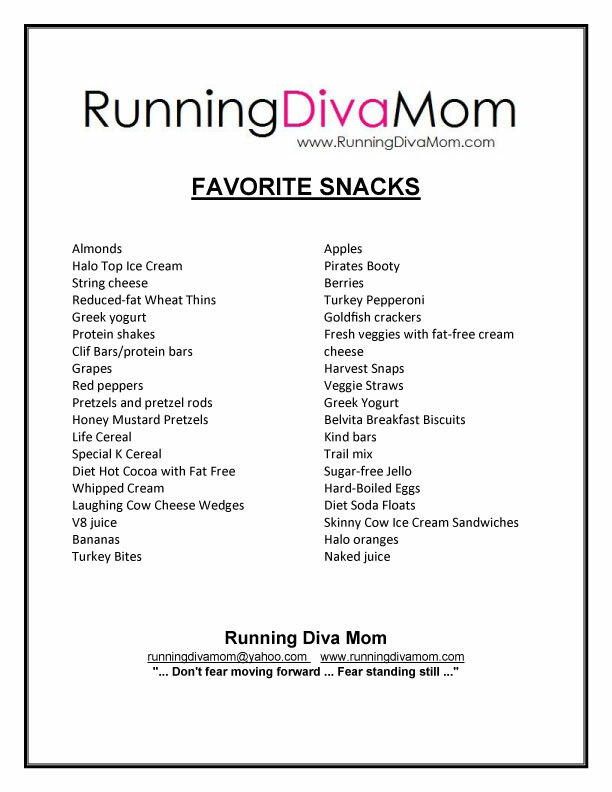 These snacks help satisfy my sweet tooth and the crunch that I so often am looking for. I'm a running mom. Everyone wins. I get out the door and make myself a priority. I am happier for myself. And I am happier, stronger and more patient for them. Running moms can rock three miles while opening a pack of fruit snacks. 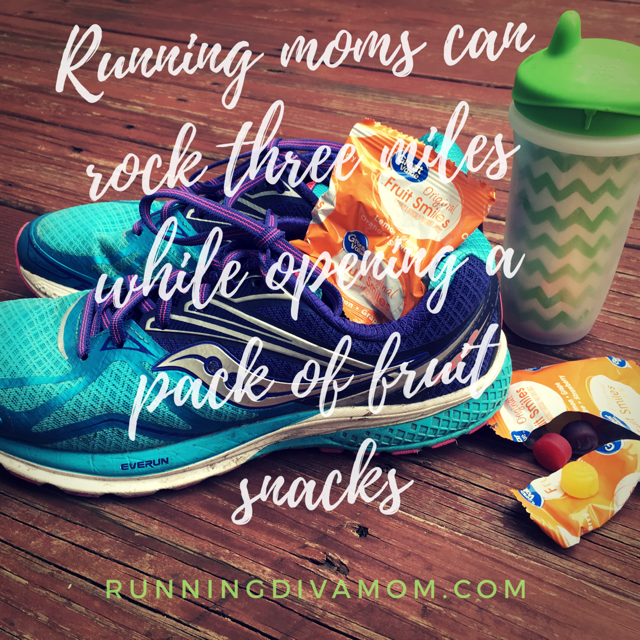 Running moms can rock three miles while opening a pack of fruit snacks. Anyone with me? 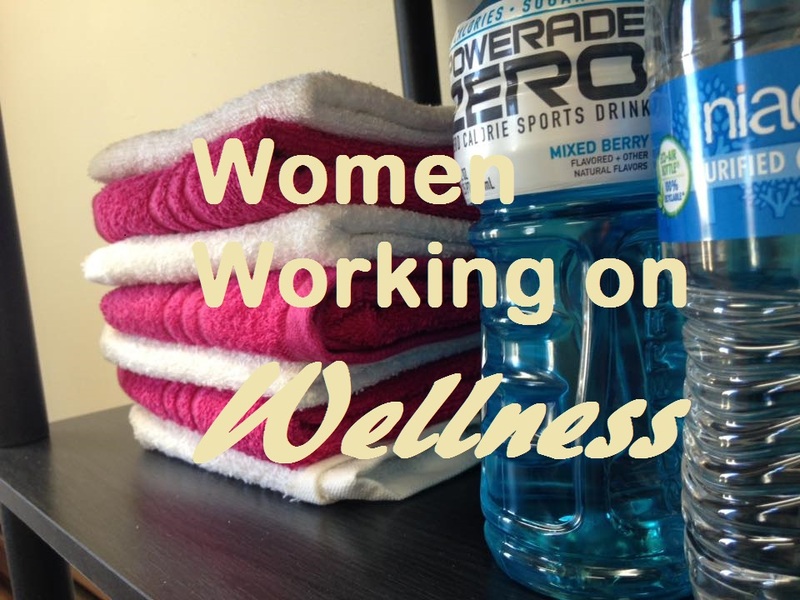 November Women Working on Wellness - NOW IN STUDIO OR ONLINE! 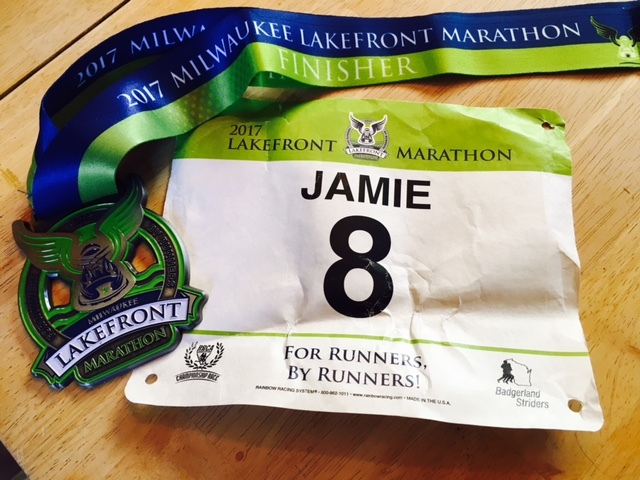 After attending my son's football game, we made the trek to Milwaukee for packet pick up for my fourteenth marathon. This would be my third Lakefront Marathon in Milwaukee. I have also spectated the race twice. 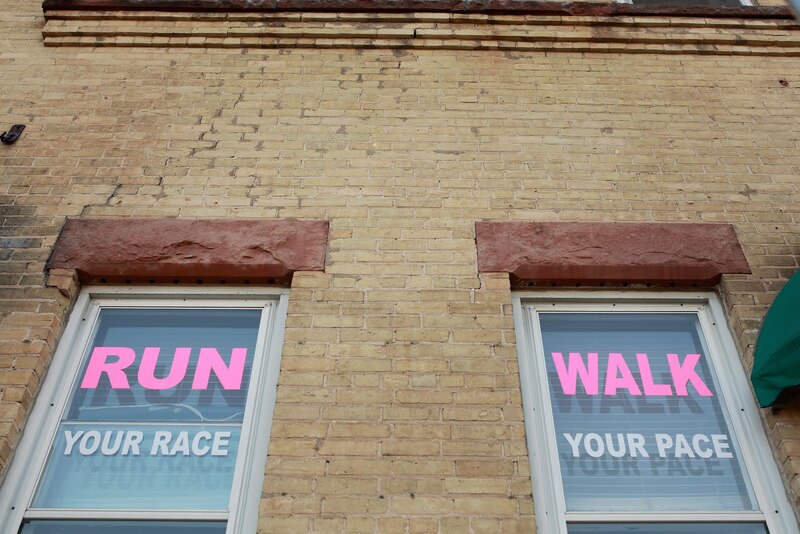 The race starts north of Milwaukee in Grafton and runners complete the 26.2 mile trek to downtown Milwaukee. Packet pick up was at the Westin downtown this year, which complicated things a bit. I'm not sure if there was free parking this year, but we eventually found a parking ramp - that charged $9 for the first hour. Once we got out of the car, we noticed that our little one had wet through her clothes. We got inside and finally found a restroom and packet pick up inside of the swanky hotel. I couldn't locate a changing table, so I changed her on the floor. Then I realized that we switched diaper bags and I didn't have any extra pants for. I remembered every single item I could possibly need for race day, but forgot a spare pair of pants for my kid. Nice, mom. So, she attended the expo in her diaper. Maybe folks were amazed by her new light-up sneakers and didn't notice? Restrooms were also out of toilet paper (runners!). Expo was small and a little chaotic this year. I picked up my bib and they informed me that they were out of my size shirt that I registered for. I'm assuming that they let other women switch sizes and ran out of mediums. So, they would be mailing it to me. I was in a little bit of a bad mood about our expo experience, but then had to remind myself that none of this was a big deal. 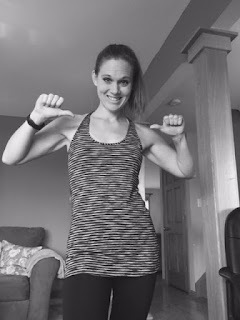 I was feeling really good about my training and my weightloss and felt like I was going to have a good race on Sunday morning. Regardless of all of the dumb mishaps. Until we tried to exit the parking ramp and pay our $9 and couldn't get out. Yeah, that happened, too. After that, we headed north to Grafton, where we would be staying. We find this to be the best option and typically stay at Comfort Inn & Suites, which is a short jaunt to the startline at Grafton High School. When I haven't had spectators or kids with me, we've also stayed at the host hotel in downtown Milwaukee and taken the morning shuttle up to Grafton, where they drop everyone off at the startline. Staying in Grafton would allow my husband and daughter to see me along the route. We checked into our hotel and ordered delicious pepperoni and green olive pizza from the same place the year prior. I stuffed myself and enjoyed every bite. I've been doing great on tracking my food and accomplishing my weightloss this year. But, I don't believe you should cut certain foods out of your life if you really enjoy them. Everything in moderation. I laid there for about an hour, drifting in and out of sleep. I woke up about every hour, checking the clock. I typically rise between 4:30-5:30 daily and finally got out of bed when the clock hit 4:00. My alarm was set for 5:15, but I decided to scroll Facebook, use the bathroom several times (dang nerves) and lay around in bed. I got up and made some coffee and got dressed and put my makeup on. I packed my own breakfast and opted not to pack my toaster. Continental breakfast wasn't open, but I took my english muffins downstairs and toasted them and ate breakfast in the room: two light english muffins, peanut butter, Chobani yogurt, one cup of coffee with sugar-free creamer. Hubby loaded up the van, while we let our little one sleep. I frantically used the bathroom a few more times and made sure I had everything I needed. My plan was to leave the hotel at 6:30 for the 7:30 start. 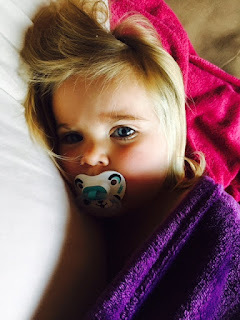 We would let her sleep, I would walk the fifteen minutes to the startline and they would see me around mile five. I headed out at 6:30 and wore an old race shirt to keep me warm on my walk. I got to Grafton High School by 6:45 and made my way inside to the sea of runners sprawled across the floor. I sat down and had a banana and a sleeve of Clif Shot Blocks. 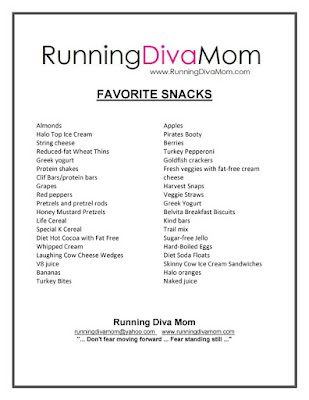 I typically have trouble eating and chewing before a race. This morning, I was chowing down and eating fine. I don't think I was nervous this time - just excited - and confident. I ran into someone I knew, chatted with her a bit, and then headed back outside to the bathrooms. I stood in the line (always the wrong line!) for quite a while and then got right back in another line. This is what I do! There were ten minutes to start time. I used the bathroom again finally and then heard them say that there were three minutes until the gun. I walked to the startline and found the 4:00 pace group, and seeded myself in front of them. With a minute to go, the announcer said that the weather conditions were perfect and that if you were going to PR today, this would be it. 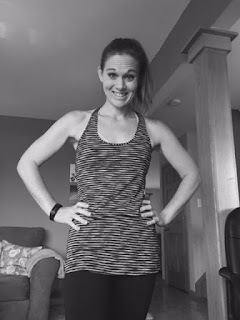 My husband had also been telling me to push my limits - but I was hesitant. 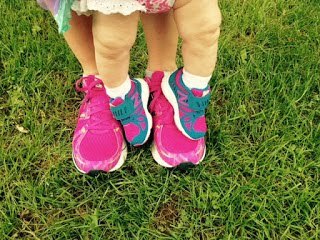 Running is so much more than running to me - it's all about the experience. 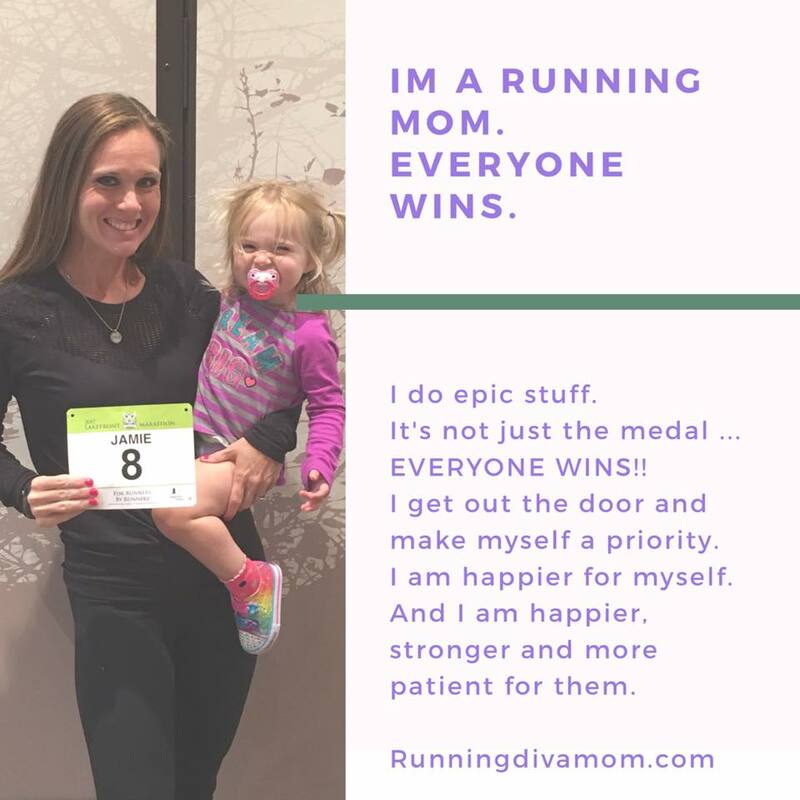 I don't like feeling totally uncomfortable, having negative energy about my run and get more out of my races than my finishing time. But, when I got to the startline, I decided that I was going to go for it. My marathon PR was 4:02 from the same event in 2010. I haven't even come close to reaching that time in the past seven years. I typically finish 4:05-4:10. 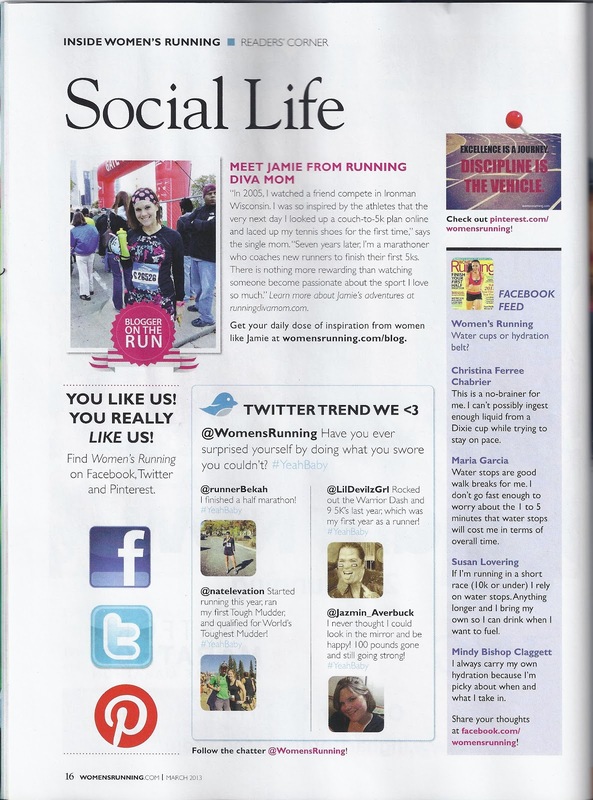 I was now hoping to PR, and achieving my running dream of going sub-four hours would be absolutely amazing. If I couldn't do it on this perfect day and super-flat course, when would I accomplish it? A 3:59 would be 9:07 min/mile pace. We headed out promptly at 7:30 and I worked on getting into my groove for the next mile or two, as we headed out through neighborhoods and then into the country. This event has amazing crowd support along the route. I love it. My watch was consistently clocking around 8:00-8:30 min/miles. Something that was unheard of for me. I spend so much time coaching others to achieve their goals, that I honestly don't get to push myself to my full potential very often - especially for several hours. I felt great with the pace and was super pumped. But would I regret it in another hour, two hours or worse ... three? I just decided to go with it. If I got too uncomfortable, I would slow down ... or worse, walk. At mile five, I knew that I would be seeing my family. I turned down my tunes and shouted out to them and sped up a bit as we pushed toward the 10K point - our first timing mat. 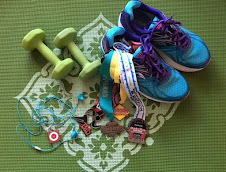 The timing mats pushed me to push my pace and pick things up. This first one clocked in at 53:24. We headed towards Concordia University and the crowd support was amazing. Last year when I ran the race, it was really cold and raining. So crowd support was sparse. This year, it was really moving to see and hear so many spectators cheering for their friends and family. 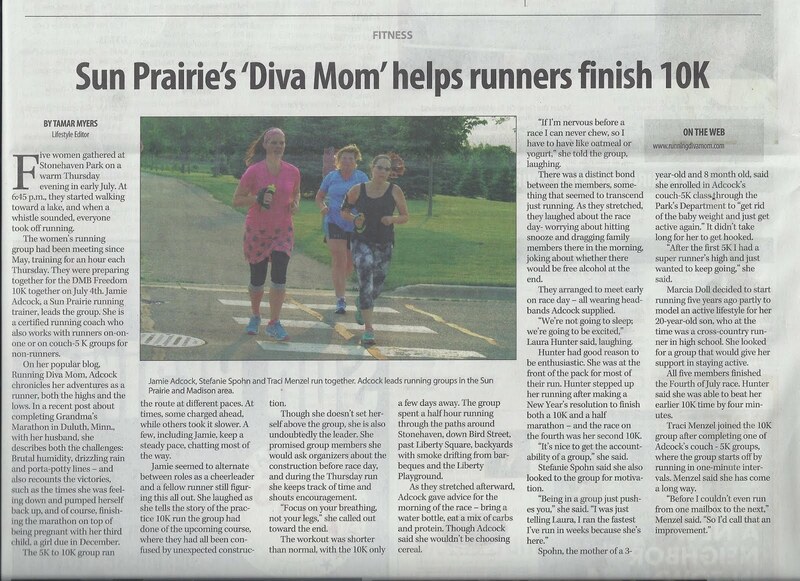 Strangers were calling out my name after reading it from my bib and gave me an extra boost. 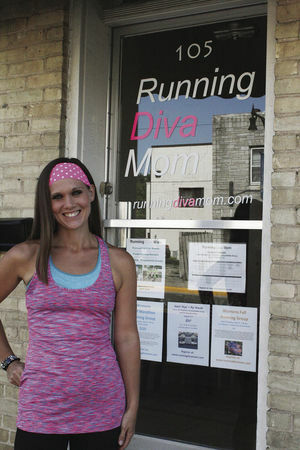 A couple people even said "Go Running Diva Mom", which shocked me a bit. It was just what I needed to keep up the pace and propel myself forward. Towards my goals. You also got a nice glimpse of Lake Michigan at Concordia. I was taking gels every five miles, per my plan. Since I consumed so many calories at breakfast, that by mile 10 my stomach was already starting to feel a little off. But, I decided to stick to my plan and sip on each gel with water over the course of a mile. I was going to need calories and energy if I was going to follow through with this. I had Honey Stinger gels at miles five, ten, fifteen and twenty (480 calories). I brought an extra, but didn't need it. I also took a sports drink and water at each aid station - which was about every two miles. I also kept refilling my water bottle (twice) along the way. I don't run water stations, so this can be quite the balancing act. I also went through 2/3 a pack of sugar-free gum during the race. 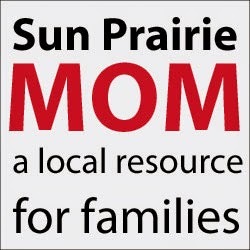 I saw a couple runners from Sun Prairie during the course and it was nice to see familiar faces. I saw my husband again at mile ten. I still had a nice spring in my step. My little one sat nicely in the stroller and perked up each time I ran past and called her name. Hubby gave me a high five. He always told me I looked strong or great. Usually, I feel like people just say that to motivate you. But this time I really believed it. I was feeling strong. I hit the half marathon point at 1:53:36, which is an amazing single half marathon time for me in recent years. I would've been very happy with that time if the finish time had been overhead. But, I had to keep going and run another thirteen miles. I saw more familiar faces around mile fourteen. And then I saw my little family again around mile fifteen. It was warming up a bit, but the breeze had picked up as we headed south - a head wind which we would have on and off until the finish. I was really happy I opted for the tank top. I felt comfortable. I was slowing down a bit, but still clocking in the upper 8's for each mile. The course was heading towards more upscale neighborhoods and along treelines. We were pretty close to the lake but you couldn't see it. I absolutely hate miles fourteen through nineteen of a marathon. Time seems to slow down and gets lost. I kind of get in a mental funk, unless there is a lot going on. I struggled a little here, slowed down a little bit more (a couple of my miles coming in the low 9's), but kept moving forward. I love hitting mile twenty. Crowd support was great at mile nineteen, which pushed me towards the time clock at mile twenty, where I knew my family would be waiting for me again. I looked down at my watch and it read 2:55:13. I was freaking going to do it! I was going to PR - AND go sub four hours. But how far below could I go, knowing I was already slowing down? I saw my family and just started sobbing. I couldn't hold it together anymore. The emotional experience of achieving what you think is impossible for yourself is really surreal. I pushed forward. Earlier in the race, I was running back and forth with about ten of the same women. Now, I seemed to be jockeying for position with some men. Some runners were now walking, sitting on curbs or stretching out cramps. I hit the mile 21 marker and a man three runners in front of me went down. Not just down to a knee to get a breather ... he was laying on his back, blank stare and his eyes were rolling in the back of his head. There was not an aid station close by, just spectators up ahead. Several us slowed down or stopped and time just stopped. We froze as one guys was quickly down on the ground holding him. It was the scariest thing I have witnessed on a race course. The runner was talking to him and asking questions and he wasn't responding. Another runner stopped and I mentioned to someone else that I would run ahead and get one. A bystander called 911 as I turned around and kept running. I flagged down a volunteer and then saw a police vehicle driving towards the pack I was running with. I flagged him down and pointed a few yards back where the runner was down. My whole body was in shock from what I just witnessed, my stomach turned and a shock literally went through my body. A lot of me felt guilty for running ahead to get someone. But the professionals were on their way. I soon heard an ambulance headed in our direction. I couldn't stop thinking about this man and looked at every spectator for the next five miles, wondering if it was his family or friends waiting for him to pass by. After that, my pace slowed to 9:30-9:40 during the final miles. I mentally had difficulty shaking it, but kept pushing forward. I tried to use the energy I had to encourage others. There were three men during my final two miles that were walking separately. I tapped them each on the shoulder and encouraged them to join me and "keep going". They did and that felt great. But of course each of them passed me during the final stretch of our journey. Dudes! I never saw pacers during the race, which usually are super deflating to me. But my pace must have been pretty consistently paced, because my husband said one pace group was always in front me and the other behind me. He also saw the same 10-12 runners ahead of me each time, so he knew I would be arriving soon. That's something I haven't always mastered, so I felt good about that. The last two miles of this race seem long, because the downhill along the lake is long and you can see the finish line. I always feel like I'm almost there, but not quite. We made our final turns into the park and crowd support was awesome. I vaguely saw my family to my right as my tunes were cranked, crowds were loud and my focus was intense at this point. My watch read 3:53 and some change and I really wanted to see if I could crank it on the final stretch and go sub 3:54. I crossed the crowded finish line and my watch said 3:54:01, but my chip time actually read 3:53:59 which felt absolutely amazing. I got some goodies and a finisher's photo after stopping along a fence to breath deeply and collect myself and my thoughts for a few minutes. I was feeling nauseous after stopping and also wanted to take the whole experience in. Savor it. The nausea passed and I soon reunited with my family. I lit up when I saw them. I smiled. He smiled. She smiled. I collapsed in my husband's arms and just sobbed. It was truly remarkable. And I did it. Me. This non-runner become runner for fun and weightloss crossed another big item off of her running bucket list - actually two items. Don't ever doubt yourself. Don't limit yourself. Every training run and every finishing time serves it's purpose. The good the bad -- and everything in between. Some are good reminders. Some are good lessons. Some are social outlets. Some are therapy. Some runs train your body to push yourself - faster or further. 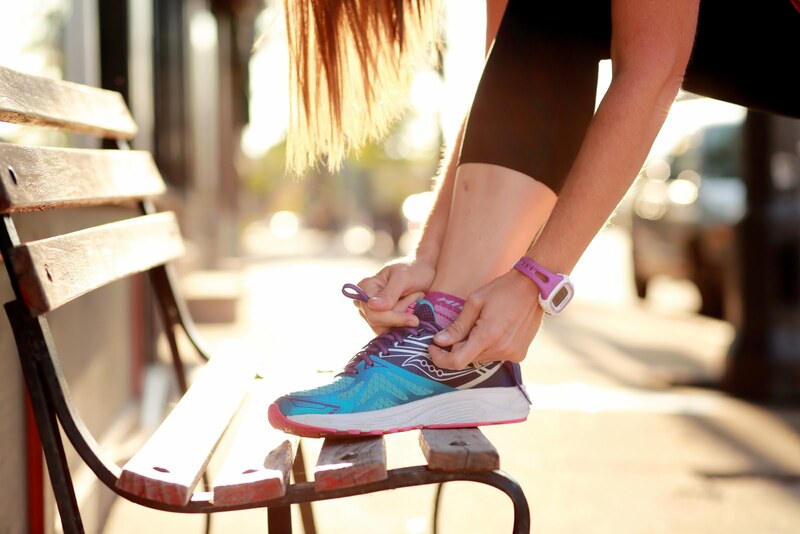 Some training runs will tell your mind to push more. Some are amazing and wonderful. That's why I love this sport so much. It's so much more than running. You learn so much about your physical and mental capabilities - it's unreal. 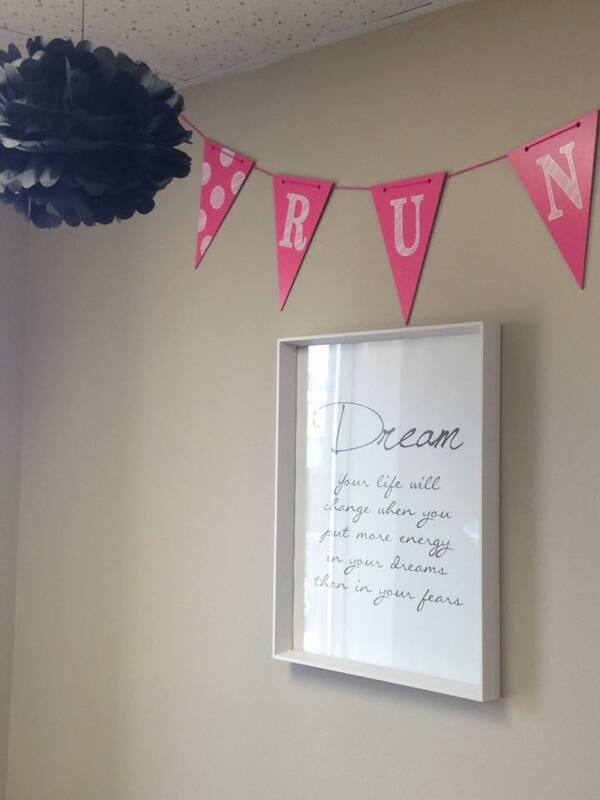 If someone had told me that I'd one day run a marathon, I'd think you were nuts. If someone had told me that I'd do fourteen and have five dozen half marathons under my belt, I'd have looked at you sideways. I didn't believe in myself or know what I was capable of. Now I do. I am capable of anything. Marathon #14 is now in the books. And #15 will follow in Milwaukee in two weeks. This one will be hard to top.